The Watoto Children’s Choir from Uganda is traveling the world to share their message of hope and to inspire others to join their cause. In 1982, Canadian pastor Gary Skinner and his family moved to Uganda, a beautiful African country suffering from the devastation of war, poverty and disease. There, he founded the Watoto Church and subsequently the Watoto Child Care Ministries, a holistic program established to care for the many orphaned and vulnerable babies, women and children in Uganda. In the Watoto Children’s Villages, children who have lost one or both parents are cared for in a home environment where they live with eight siblings and a house mother. The villages provide quality education, medical care, community events and church services to all members of the community. The vision is to replicate the Watoto model across Africa by creating alliances and partnerships between Christian leaders in Africa and the developed world. This year marks the 10th year Watoto Children’s Choirs have been touring the world to share their message of hope. 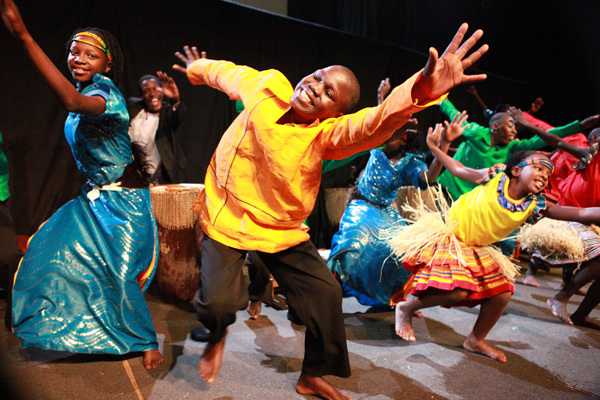 The current choir tour, Beautiful Africa: A New Generation, includes 11 girls and 11 boys between the ages of 7 and 14 telling their story through music, dance and video. The performance alternates between vibrant African rhythm and poignant moments where the children speak about their personal stories of tragedy and the ways in which Watoto and their love of God have changed their lives for the better. Since the choir’s inception, over 1,000 children have had the opportunity to tour with the choir. In December 2013, the 62nd Watoto Children’s Choir came to Scottsdale, Arizona, where SheKnows is headquartered, and we had the opportunity to attend a performance. Robert Sendegeya, the choir’s director, explained that this choir began their world tour three months ago in Scandinavia. After two months performing in Norway and one month touring Sweden, the group came to the United States to continue their seven-month tour as ambassadors for Watoto. The full Watoto Children’s Choir tour schedule can be viewed online at Watoto.com. Performances during the first half of 2014 will take place in California, Oregon, Washington, Texas, New Mexico, Oklahoma, Kansas, Missouri, Louisiana, Arkansas, Illinois, Iowa, Wisconsin and Minnesota. The concerts are free and open to the public. 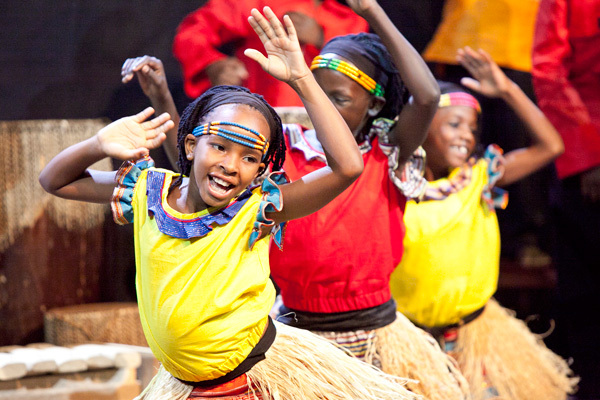 At each performance, there is an opportunity to make a donation to support Watoto’s programs if you wish. In addition, handmade African jewelry, dolls, baskets and other items are for sale at each show, with proceeds going to Watoto. According to UNICEF, 141,000 children under the age of 5 will die in Uganda each year. If you’re unable to attend a Watoto Children’s Choir performance, but wish to support the organization’s mission of rescuing 10,000 children in Uganda by 2023, Sendegeya suggests visiting Watoto.com where you can make a one-time or lifetime donation offering or sponsor one of the Watoto children. There is also an online store with concert T-shirts and the Beautiful Africa music CD.